The growth and expansion of modern Singapore has been phenomenal and transforming, from a small country without natural resources to a modern cosmopolitan city today. Over the years, it had been constantly expanding, upgrading and innovating its infrastructure, services and businesses. With the completion of the Marina Barrage, followed by the Marina Bay Sands, the transformation of the Marina Bay area is getting close to its new and beautiful landscape of Singapore’s Central Business District, with its greenery and reservoir, performance arts, leisure and recreation facilities co-existing together in a modern cosmopolitan city in the world. 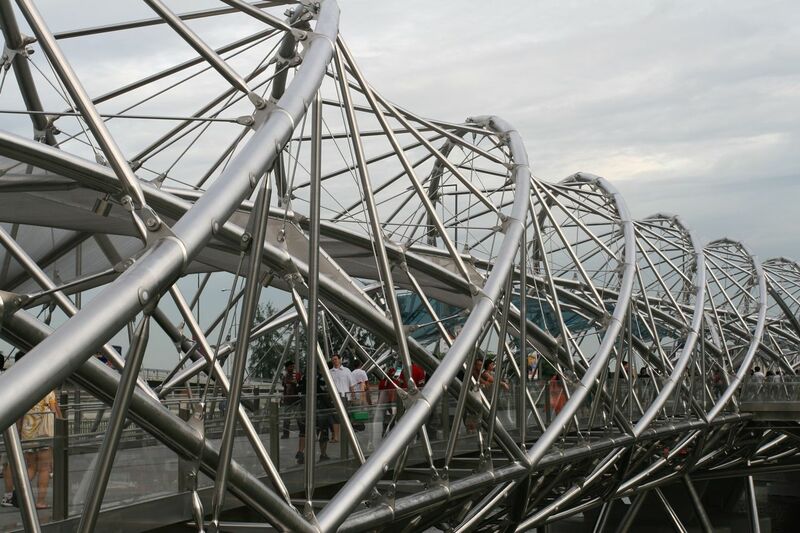 A new bridge, known as the Helix Bridge, a new icon in Singapore’s landscape. Beautifully and uniquely designed, led by award-winning architect Prof Philip Cox, a consultant team, consisting COX Group Pte Ltd (Australia), ARUP Pte Ltd (Australia) and Architects 61 (Singapore). 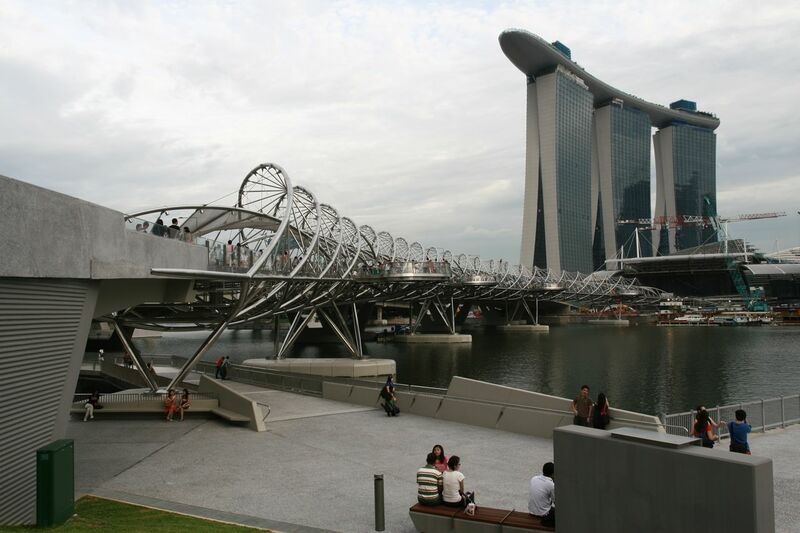 Looking at its design, it’s probably affectionately described as the Double Helix Bridge. Crossing this bridge bridge has its own unique experiences, capturing the stunning views of Marina Bay, Marina Square, Singapore’s Central Business District and connecting to Marina Bay Sands. With beautiful lights on the Helix Bridge illuminating the Singapore skyline, it has slowly become an iconic monumental presence in modern Singapore. A photographer’s latest icon and location for landscape shooting in Singapore, tourists and locals both flocking over and enjoying the walkabout. More photographs of the Helix Bridge can be viewed in my Flickr folder. 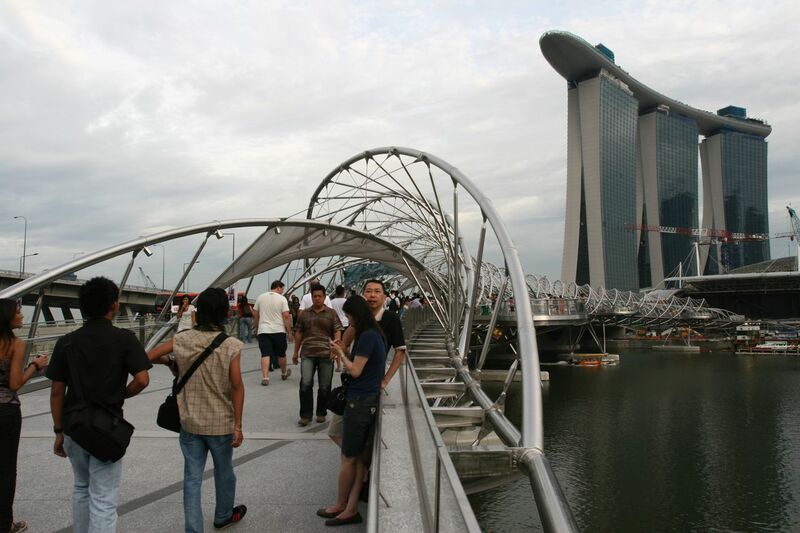 Ladies and Gentlemen, do drop by and have a walkabout on the Helix Bridge and Marina Bay area ! I am a Featured Photographer ! Yeah ! More sceneries & locations for photographers to visit ! Looking forward when Marina Bay Sands is fully completed, along with Marina Bay Financial District !